Pre-registration available March 25 in Japan. Closers, the free-to-play side-scroller action MMORPG developed by Naddic Games, is coming to PlayStation 4 in mid-April in Japan, publisher Laplace announced. Pre-registration will be available via the Japanese PlayStation Store on March 25. Users who pre-register will receive a variety of in-game rewards. The PlayStation 4 version of Closers will use a different server from the PC version. Play data from the PC version cannot be used in the PlayStation Store. 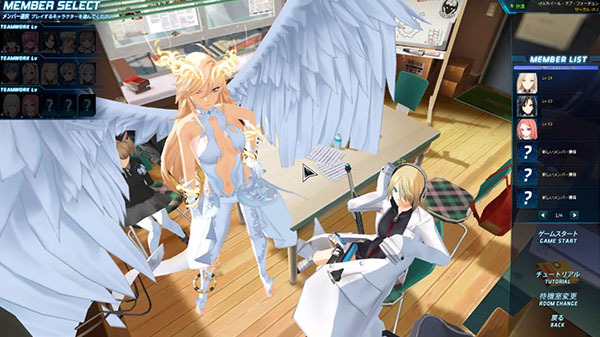 Closers first launched for PC in December 2014 in Korea, followed by Japan in August 2015, Indonesia in April 2016, and North America in November 27. Deep Episodic Character Stories – Each and every Closer has their own personality and character arc. You’ll face the same foes and overcome the same threats, but through the lens of each character’s unique combat style and flair. Diverse Skill Progression – Each Closer has his or her own combat style, and with thousands of weapons and gear choices, no two Closers will be exactly alike. Customize your gear and develop your skills to suit your own play style! Beat ‘Em Up Arcade Combat – The action in Closers is fast and furious. Jump, dodge, build up combos, unleash special attacks, and beat down legions of dimensional monsters with an ever-increasing menu of combat skills. Co-Op, Solo, and PvP – Team up with friends or take on the alien hordes solo…or go head-to-head in Closers’ challenging PvP arenas!